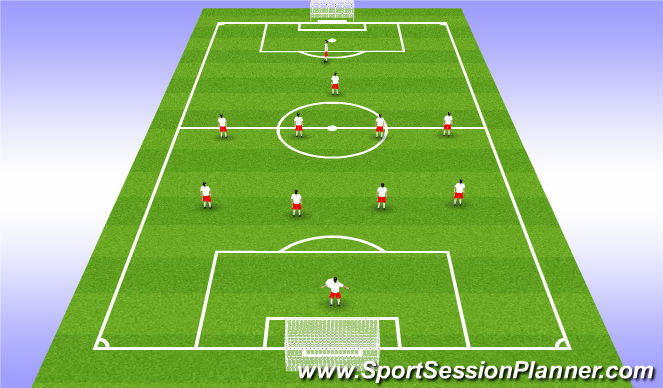 Football/Soccer Session (Moderate): Defensive principle and player recovery. Field 36yds long. 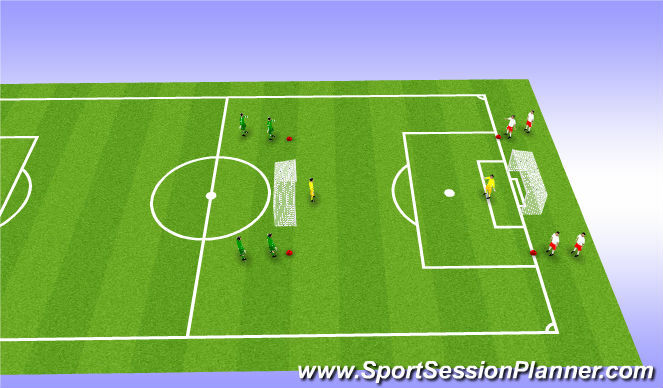 Defenders pass to attacker diagonally opposite and play 1v1 to goal. Game starts 3v3. Team that loses a goal goes off. 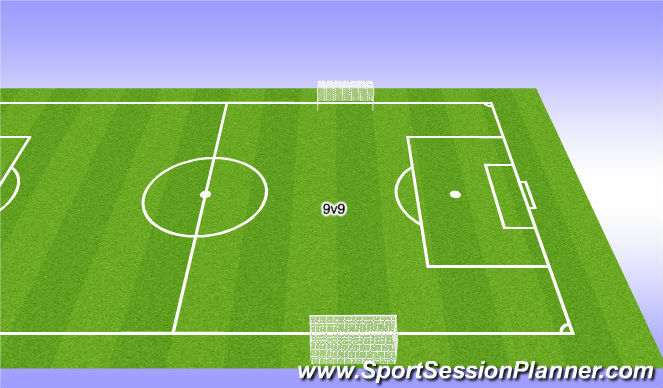 Goal scorers run around pole and back onto field creating 3v2 situation with retreating defender.